I credit Mike Pandolfini 100% with getting me started in the martial arts. He’s been training in a variety of disciplines since we were in high school, and he was always looking for partners to train with in his basement and backyard. After years of asking, I finally took him up on it and starting taking BJJ classes during law school so that we could train together after graduation. Really no deep rhyme or reason as to why I started. During my teens and 20s, I got into a lot of street and/or bar altercations for no good reason and had a fascination with combat sports and the fighting arts. Just wanted to be better equipped than the next guy. So, technically, I started BJJ my last year of law school (2005) at the Yamasaki Academy in Rockville, MD, but only lasted three months as a white belt there. Moved back to NJ and trained strictly no-gi grappling and muay Thai for the next three years. 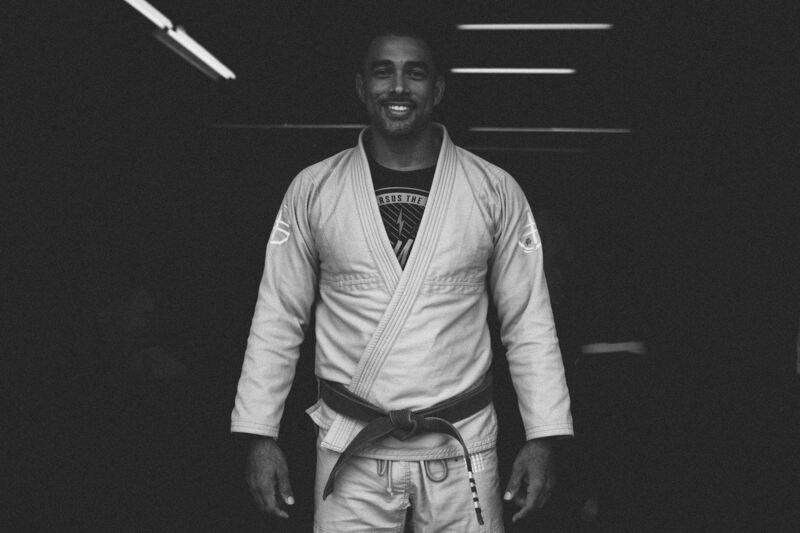 Finally put the gi back on in or around the beginning of 2008 at the Daddis Cherry Hill location and haven’t taken it off since. Makes me happy to share what I love, and how I love to do it, with like-minded people. Train till the wheels fall off. …have started as a teenager AND studied more as a white/blue belt. Dr. Martin Luther King, Jr … just to say thank you. Twizzlers, because they remind me of going to the theater with my pops as a kid.